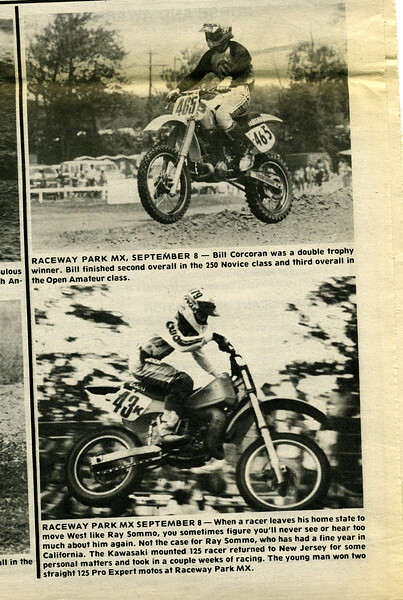 Over the last couple of winters, I’ve had the opportunity to scan some old issues of Raceway News. Some issues are ones that my dad has saved over the years and some were on loan to me from Joel Dengler and George Trapani. Enjoy the trip down memory lane. Here is part two in a series. Do you remember Rich Carrino? How about his sponsor VIP Honda? The bottom image features Ray Sommo. 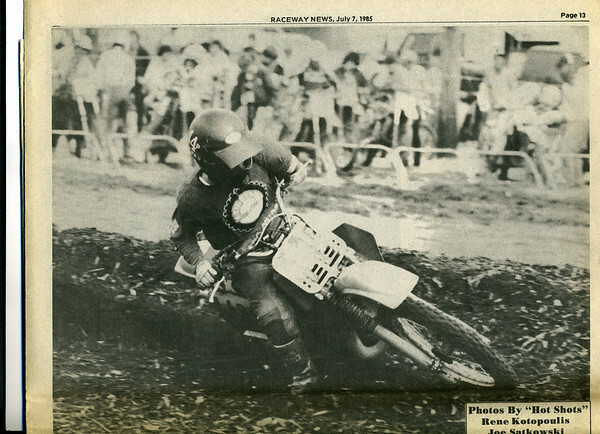 At the time Ray was a top up and coming 125 racer and was coming back to his NJ roots to visit friends and do a little racing. Today Ray is living in California but is planning on coming back Eats this summer for a motocross school. Are you interested in attending? Let us know. In 1985 Mickey Kessler was sporting National # 20. 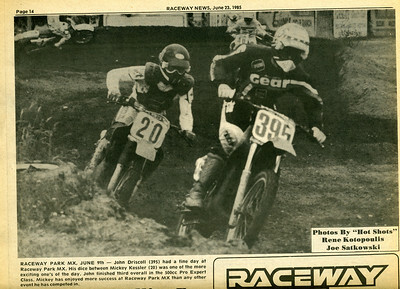 Here he chases new expert racer John Driscoll on a big 500cc Honda 2-stroke. Today Mickey can still be found at the racetrack or in his garage running Kessler Pro Suspension while John is VP, Partnership Development at Just Marketing International, a motorsports marketing company. This Raceway News clip features Harold Glissen. 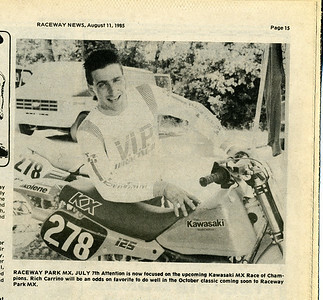 Harold has never left his motocross family and can be found representing his longtime sponsor Bel-Ray at tracks around the Northeast when he is not running his successful landscaping business Glissen Landscaping.